My poor postman (it was a man), how he suffered. But what pleasure he brought. Between about 1987 and 1989, large boxes of 12-inch singles would irregularly arrive at my London flat. The postman would stagger up the stairs with each box. They’d been sent by a woman called Judith at Chicago Trax, a record label in – yes, Chicago – and the boxes contained house music from Marshall Jefferson, Frankie Knuckles, Phuture, lots from Robert Owens and so many more. It was acid house and deep house at its most experimental, its most extravagant, its most essential. I loved it and I loved the London DJs, musicians and clubs who played it: Mark Moore, (the late and lamented) Eon (Ian Loveday), Baby Ford, Danny Rampling, Kid Batchelor, Mr C, Shoom, RIP, Hedonism, that place on Sunday nights that Nicky Trax ran in Soho and of which I have momentarily forgotten the name. Back to Trax: I wondered a little about quality control — some of the discs weighed a ton, as if two blobs of vinyl had been placed on the factory’s pressing plattern instead of one and sometimes the labels weren’t centred, which meant that watching the disc revolve on a turntable was slightly eye-bending. I wrote about this music in The Wire and the NME, City Limits and Soul Underground at a point when many people weren’t writing about it, teasing out the connections between this new electronic music and the earlier experimental work of the (classically trained) musique concrète and minimalist composers. Fast-forward 25 years and it is with considerable awe that I see that the first 75 of Trax’s singles have been gathered together by Ian Dewhirst at the Demon Music Group in what can only be described as a wonderfully berserk labour of love. The Traxbox has 16 CDs of the stuff, all remastered and no vinyl blobs in sight. Rare records have been traced and everything has been remastered. Oh, and the 100-page booklet reprints reportage and photos from people who were there such as Jazzy M, Judge Jules, Dave Swindells – and me. It’s very nice to see my Soul Underground article reprinted among such names. 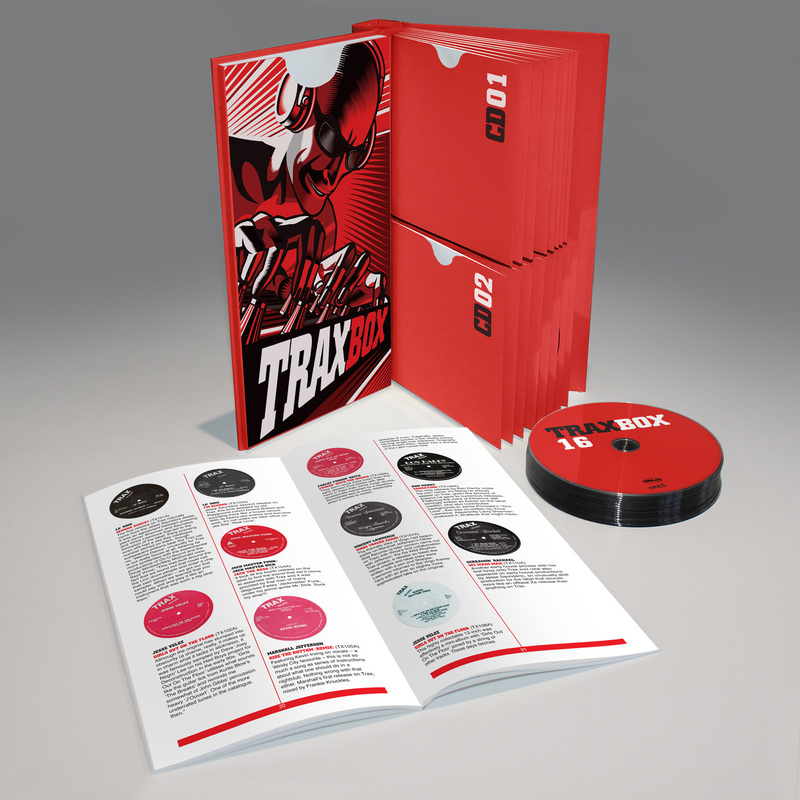 Traxbox is out on 30 September 2013.